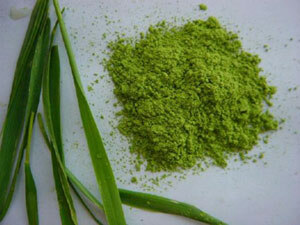 Barleygrass is made from the immature leaf blades of the common barley plant, from which the barley grains used in cereal products are cultivated. When harvested within the early growth stages as the plant is preparing to enter the reproductive phase, all of the nutrients which have accumulated in preparation for the production of seeds can be extracted from where they are stored within the young barleygrass shoots. Following the increased popularity of wheatgrass as a health supplement, in the 1970s a Japanese pharmacological researcher Dr Yoshihide Hagiwara began experimenting with the health benefits of including young barleygrass shoots in his diet. Dr Hagiwara was involved in researching and producing new drugs to cure modern ailments, and reasoned that through modifying the diet to provide all of the nutrients which the human body needs to function, these diseases could be prevented from developing in the first place. Dr Hagiwara began investigating alternative, natural approaches to increasing his health, and after studying more than 150 plants he reported that barleygrass shoots were “one of the most nutritionally balanced foods in nature”. 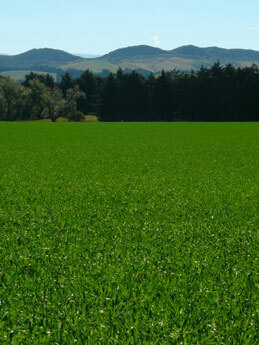 Our barleygrass is grown organically on outdoor pastures in a pristine, unpolluted area of Northern China. The seeds are planted in the autumn of each year and allowed to grow over the next 4-5 months, giving the barley plants time to extract the maximum amount of nutrients from the fertile soil. As our barleygrass is cultivated outside the developing shoots benefit from exposure to many hours of natural sunlight each day, and the long growing season gives the young barley plants ample time to assimilate all of the minerals extracted from the nutrient rich soil. No chemical pesticides or fertilisers are used to grow our organic barleygrass, and all of the water used to irrigate the fields is extracted from deep below the ground and guaranteed free from pollution or agricultural runoff. After jointing the nutrient stores are diverted from the leaves towards reproduction and producing grain, so it is crucial that the barleygrass is harvested within this short window in development. In the period after jointing the pliant young leaf blades are replaced by tough cellulose fibres which give the mature barley plant structure, and this increase in cellulose synthesis corresponds to a sharp drop in chlorophyll levels as the photosynthetic activity of the plant declines. By allowing the shoots to continue developing in natural conditions for as long as possible, we can ensure that our barleygrass contains only minimal amounts of simple sugars stored within its leaves, as these are converted over time into complex carbohydrates which release energy more slowly when digested. Once ready to be harvested, the young barleygrass plants are carefully cut at the base by hand and quickly transported to a facility where they are carefully cleaned, then sorted by hand to remove any poor quality leaves. The barleygrass is then dried rapidly and crushed into a fine powder using a freezing air method, with less than an hour passing from the moment the barleygrass leaves are cut to production of the finished powder. Like all green plants barleygrass is rich in chlorophyll — the photosynthetic pigment plants use to create energy from sunlight — with over 600mg per 100g. Chlorophyll is reported to have detoxing effects and the ability to remove poisonous toxins from the body, and has also been demonstrated to have antioxidant effects when included in the diet. Barleygrass is also a good source of calcium, which is needed for healthy bones as well as being a vital mineral used in cell signalling and muscle contraction. 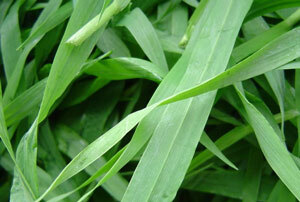 Being high in both calcium and potassium, barleygrass is often referred to as an ‘alkaline food’. Alkaline foods are thought to correct excess acidity in the body which is associated with many degenerative diseases such as arthritis and osteoporosis. Barleygrass is also a source of the antioxidant enzyme superoxide dismutase (SOD) which had been correlated with longevity and additional studies in 1990 identified a further novel antioxidant within young barleygrass leaves that could help prevent cell damage by free radicals, which can accelerate aging and contribute to the onset of some cancers. Supernutrients organic barleygrass powder is a great addition to your daily smoothies. With a pleasingly tart flavour it’s not as sweet as wheatgrass, but has all of the benefits of concentrated grass goodness.